Does the pervasive plastic pistol have you feeling a bit listless and melancholy lately? Striker-fired boredom setting in? 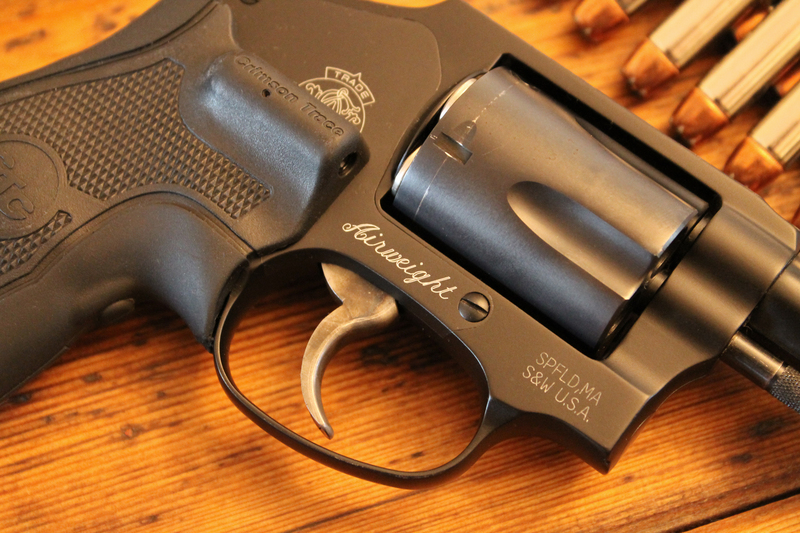 Well, perk up your life with a Smith & Wesson Centennial revolver! Sometimes going “retro” can get you caught in a new frame of mind that will liven your dreary modern existence. 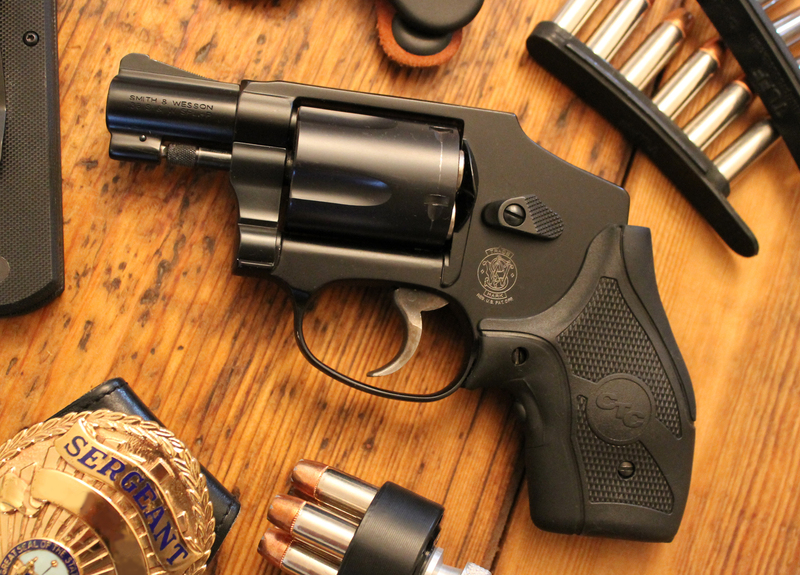 The quintessential J-frame revolver by Smith & Wesson has been around since its birth in 1950 as the Chief’s Special or, later, the Model 36. 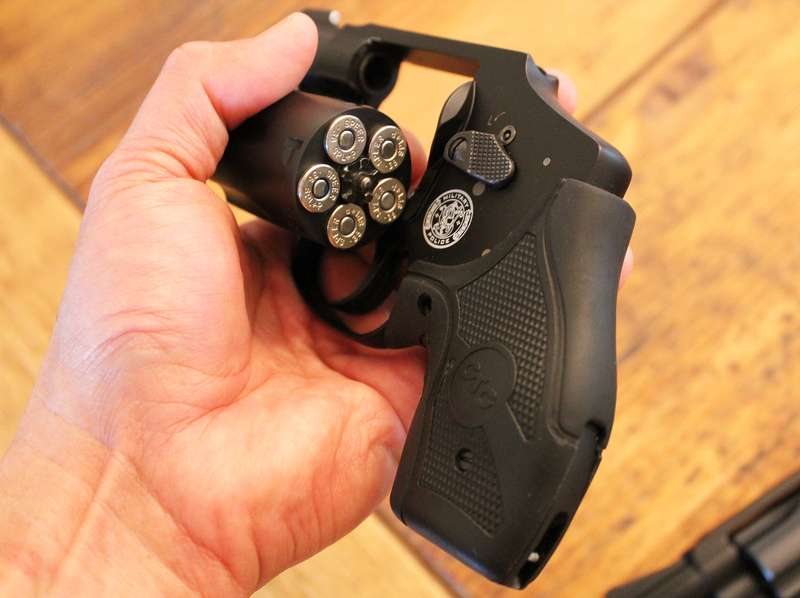 Designed as a small, concealable handgun with moderate power from its .38 S&W Special chambering, the platform has morphed into many versions during its 60-plus years. In Smith & Wesson-ese, the “Centennial” model, introduced in 1952 for S&W’s 100th birthday, was renamed the Model 40 in 1957. The Model 40 series, known generically as Centennials, have an internal hammer, so they are visually distinctive by their lack of a hammer spur. Without the spur, the 40’s are fired double action only. The original Centennials were five shot, steel-framed guns weighing 21 ounces with a 1 7/8” barrel. In an effort to trim some of the heft, the Centennial Airweight was introduced in 1952 with an aluminum alloy frame. This dropped the scale’s reading by 6 ounces to a mere 15 ounces. Further feathering was achieved when Big Blue introduced a Scandium alloy frame and stainless steel cylinder to the M&P 340 (13.3 oz’s). But the ultimate weight reduction was a Scandium frame and titanium cylinder that caused the Model 340PD to dance over a scale at just 11.4 ounces! 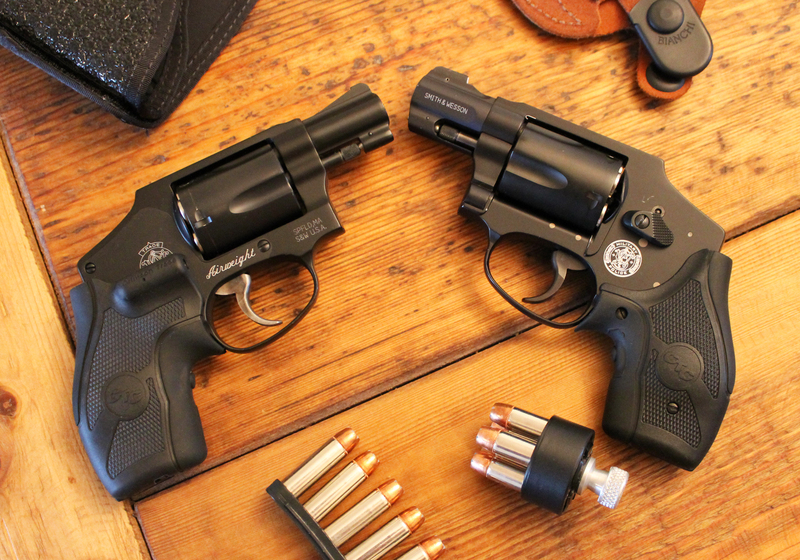 Today’s very popular Models 442 and 642 are Centennial Airweight revolvers. The 4 in 442 denotes a matte black finish and blued carbon steel cylinder, while the 6 in 642 SKU’s up a matte silver finish and stainless steel cylinder. Either flavor is a handy, lightweight bellygun for back-up or concealed carry. In the dark ages when I first became a cop, we were taught to gunfight with revolvers. Because of this, I have always loved a wheelgun’s simplicity, but that simplicity should not be mistaken for ease of operation. A snub-nosed handgun is not a tool for the beginner. Owing to its short sight radius and scant mass, a Centennial Airweight can be difficult to shoot well. As you progress up the power table from .38 Special, to .38 Special +P, and on to .357 Magnum, these J-frames can be an unpleasant fistful of metal to fire. 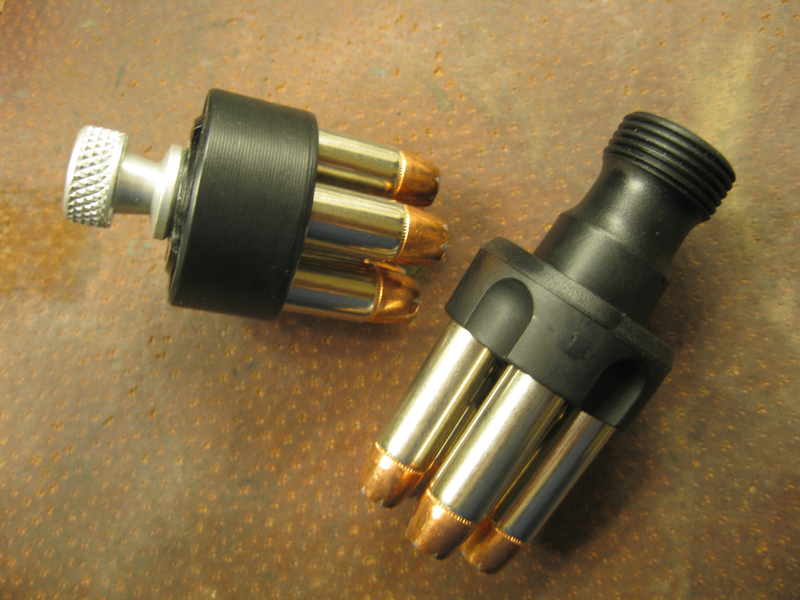 There are slightly different techniques for re-upping a revolver properly. Whether you achieve it with your dominant hand cradling the gun as the support hand gets the bullets in or the reverse, it is all a matter of personal preference. Use whichever is most reliable. The mantra is to practice, practice, practice. With a right cargo pocket full of loose bullets, I was able to run a Centennial through my department’s off duty gun qualification (which is actually same as the state standard qual) alongside a gaggle of Glocks, Kahrs, and S&W auto pistols. Surely, I was not as quick, but I finished each course of fire in under the mandated time limit. A Centennial’s asymmetrical profile tends to break up its gunnish outline, so if it is carried in a pocket holster or on the waist, this revolver tends to disappear better than some blockier autoloaders do. Without the hammer spur, a Centennial will not snag clothing. As a revolver, it can be fired with little chance of malfunction. I own a Smith & Wesson Model 442 Centennial Airweight and an M&P 340. I outfitted both guns with Crimson Trace LG-305 laser grips as soon as my credit allowed. A properly installed and sighted laser adds to the combat effectiveness of a handgun, especially one with very few bangs on tap. The Crimson Trace LG-305’s are compact for concealment. They have soft molded front and backstrap inserts that help to absorb recoil—another plus to upgrading the stock grips on the Centennial. Although the front ramp sight on the 442 is adequate, I really like the XS Standard Dot tritium front sight that came as original equipment on the M&P 340. If the laser goes down, the XS sight remains as an aiming reference in low- and no-light situations. Redundancy rocks. My opinion is that revolvers like the Smith & Wesson Centennials still have an important place in today’s daily loadout. If you have the striker-fired, polymer frame doldrums, consider spicing things up with a return to the Old School. I have the feeling you will enjoy the trip. This entry was posted in Firearms, Off Duty, Officer Safety, Street and tagged back-up gun, Smith & Wesson, Smith & Wesson police revolver. Bookmark the permalink. I also have a 442; love it. Now that Ruger makes the LCR in 9mm, I’d like to see S&W make a 9mm, snub nose J frame again. Devin, I had some range time with the LCR in 9mm and thought it was a good gun. I, too, wish Smith & Wesson would dust off the tooling for the Model 940, so we could have a chance S&W’s 9mm revolver. Like you, I’m an ORC (Old Revolver Cop). I can bore anyone to death with my fount of useless knowledge about Smith or Colt revolvers. And I never pass up a chance to read about, handle, or shoot them. The polymer/striker-fired doldrums are easy for us old farts to catch. I like the Centennials, and I also like the (original) Bodyguards with the shrouded hammer. My favorites, though, are/were the 3-inch Chiefs Specials. They made good backup guns, and still do, if you can find holsters for them. Oooooo, three-inch barreled Chief’s Specials. Don’t have one. Don’t need one. Just want one! Once you have one, you’ll wonder how you lived without one.